Step 1: Attack. For 2-7 days eat as much as you want of 72 protein-rich foods. Step 2: Cruise. Continue eating the protein-rich foods with the addition of 28 vegetables. Step 3: Consolidation. Add fruit, bread, cheese and starchy foods, and 2 celebration meals a week, allowing 5 days for every pound lost. Step 4: Stabilisation. Eat what you like without regaining weight by following 3 simple rules, including the famous ‘protein Thursdays’. 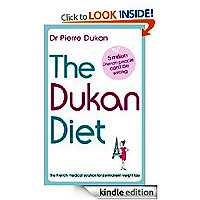 Devised by Dr Pierre Dukan, a French medical doctor who has spent his career helping people to lose weight permanently, THE DUKAN DIET is the culmination of thirty-five years’ clinical experience. Without any of the usual marketing hype, THE DUKAN DIET swept across France, championed by the people who had successfully lost weight following the diet. It is now estimated that the Dukan community numbers over 5 million people in France. 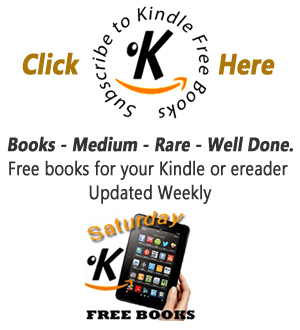 Easy to follow with no calorie counting, THE DUKAN DIET offers clear simple guidelines, menu planners and delicious recipes for long term success. I've not once been hungry, never been bored, no cravings and no calorie counting. I don't miss bread, rice, pasta nor potatoes. Never felt ill! and I absolutely love my half hour walk every evening - my time, my space. And I feel wonderful. But to me now - this is not a diet but a way of life. I have complete confidence in being able to maintain my ideal weight and still enjoy good meals, eating out and even chocolate! I am not on a diet - I have found a new way of living with food. Try bolognese with a lovely green savoy cabbage - absolutely beautiful. Trust me - this works. PS: I've lost 12lbs in six weeks.